Blair in Dark Blue Uniform. . Wallpaper and background images in the Barbie Movies club tagged: barbie princess charm school blair uniform dark blue. 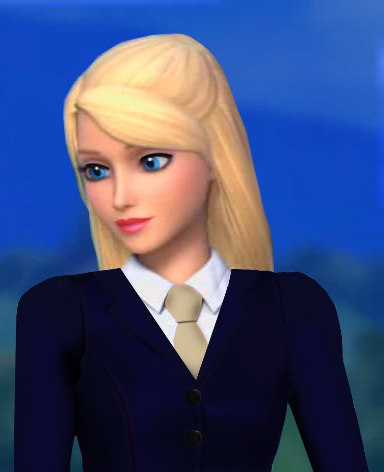 This Barbie Movies fan art might contain well dressed person, suit, pants suit, pantsuit, suit, suit of clothes, and business suit. Miss Willows! May I please go out to the bathroom? LOL, I wish my college principal was as awesome as Blair! Great Blair! It reminds of Sam.